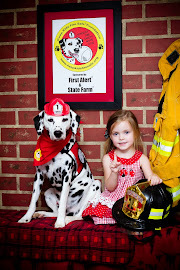 Firefighter Frank went on his first big trip to the Washington, DC area to attend the Vision 20/20 Models in Fire Prevention Symposium with the Keep Kids Fire Safe® Foundation. The Symposium features some of the most innovative fire prevention programs being used across the country and over 150 fire prevention experts are gathering to learn from each other and share their programs. 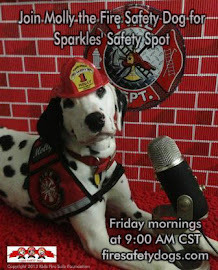 The last time the symposium, Firefighter Dayna did a special program on Sparkles' Reading Program! 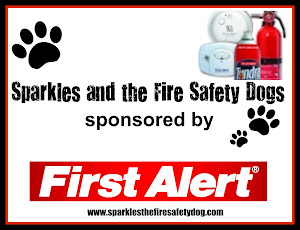 Keep Kids Fire Safe® Foundation will have an exhibit at Vision 20/20 to help share the work of the foundation and two of its most popular fire safety programs: Sparkles' Safety Spot and Sparkles' Fire Safety Skype Tour. Firefighter Frank was so excited to have his picture made with a flight attendant! 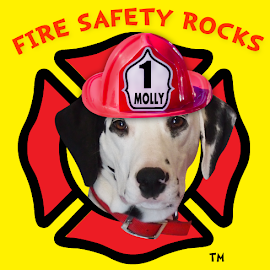 Firefighter Frank traveled in style in Firefighter Dayna's backpack! As soon as Firefighter Frank got on the plane and settled in, he checked out the safety procedures. He wanted to be prepared in case of an emergency! He then helped his seatmate, Jacob. Jacob really didn't need much help, though as he had also gone over what to do with his Grandma beforehand! Way to go, Jacob! Firefighter Frank had never had pretzels on an airplane before. He loved them! Before Firefighter got off the plane, he got a very special hug from Jacob!